Here are several drinks to help quench your #summer thirst and fill your belly. Keep in mind that seltzer, unsweetened iced tea and water are real low-calorie alternatives, but in case you’re looking for a few others drinks and would like to know how much they cost in terms of calories and exercise equivalents, here you go. Put ice in a cocktail shaker or mixing glass. Add tequila, ginger liqueur, grapefruit juice, lime juice and ginger slices, and shake well until extremely chilled. 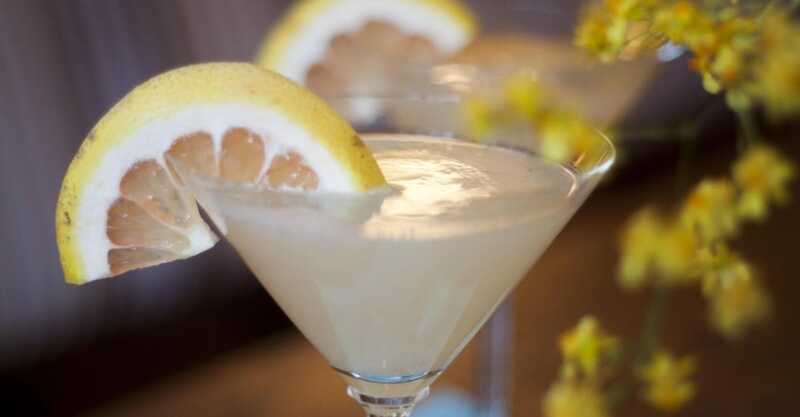 Strain into a chilled martini glass and garnish with grapefruit rind. Serve and enjoy. Recipe by Editors at EatingWell magazine (May/June 2015) and The Eating Well Test Kitchen (Eatingwell.com). Combine strawberries, banana, mango, yogurt, nut butter, flaxseed, vanilla and ice cubes (or water) in a blender. Puree until smooth. Combine sparkling wine and pureed strawberries. You can skip the sparkling wine and add the pureed strawberries to seltzer for a delish non-alcoholic beverage as well. Combine vodka, raspberries, and rosemary in a cocktail shaker. Muddle ingredients together, then add ice. Add the triple sec, lime juice, and cranberry and shake. Strain into a martini glass and garnish with 3 raspberries on a toothpick and the other half of the rosemary sprig. Blend alcohol with ice cream. Serve in a frosted glass. Place the chopped strawberries, sugar, ginger, and vodka in a blender and puree until smooth, stopping the machine to scrape down the sides once or twice. Strain the mixture through a fine-mesh sieve into a pitcher. Add the ice and ginger beer to the pitcher and stir to combine. Divide the mixture among 4 pretty glasses and garnish each serving with a strawberry. Serve immediately. Steer clear of drinks that are really desserts (e.g., cream drinks).